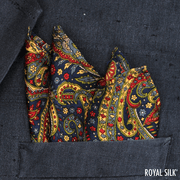 Glorious urbane Navy Paisley silk pocket square by Royal Silk® in a sensational palette of fine curvaceous motifs in rich, deep shades of navy, burgundy, ocher, charcoal, with sprinkles of off-white. 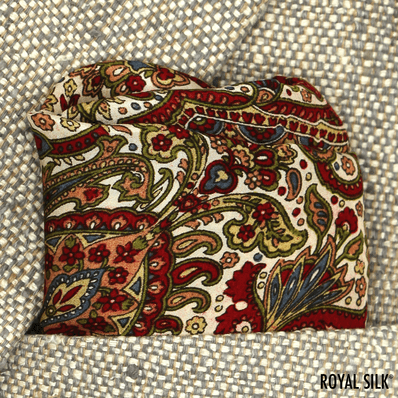 Alluring Beige Paisley silk pocket square by Royal Silk® in a Persian-inspired tapestry of intricate curvy motifs in colors of okra, plum, and apricot. 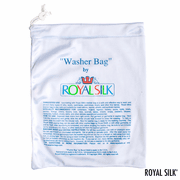 The touch and feel of this silk is noticeably lush, soft, gentle, and smooth. 16” Sq. Washable. Affordable. 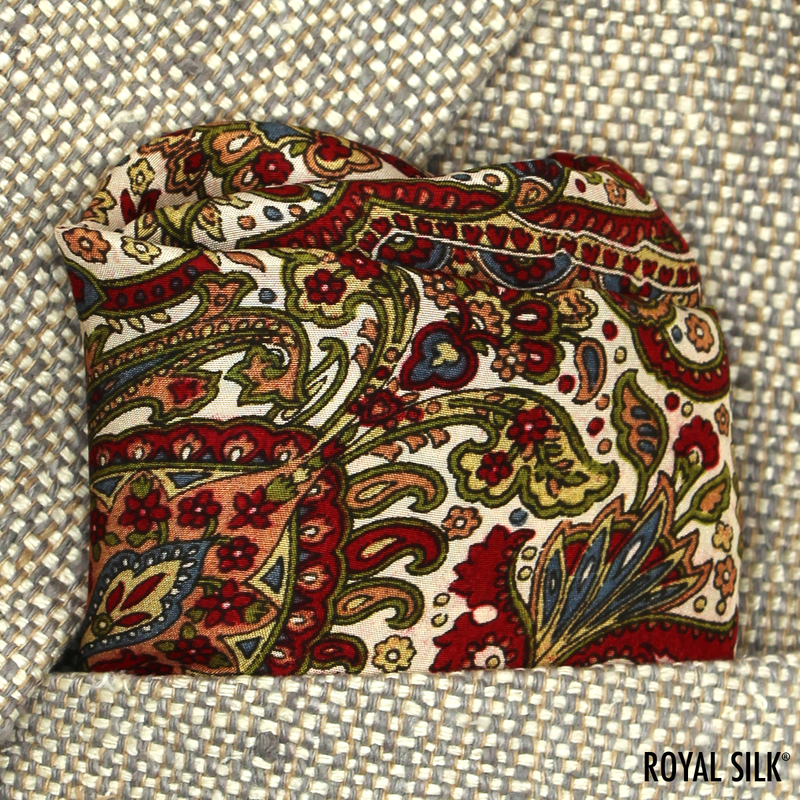 Authentic 100% Silk.